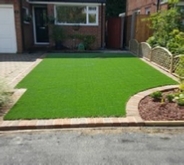 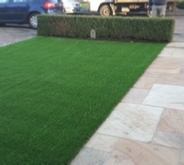 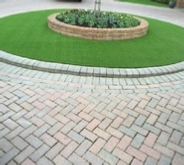 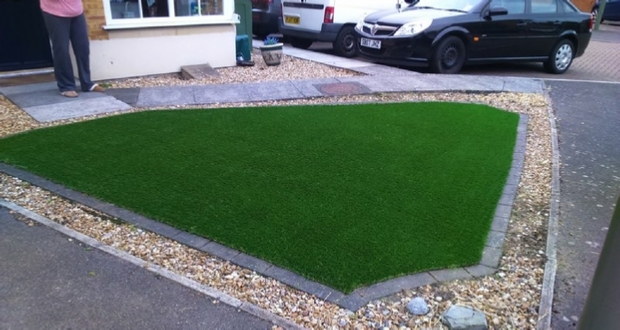 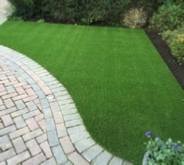 'Ashdown' 35mm pile height artificial grass. 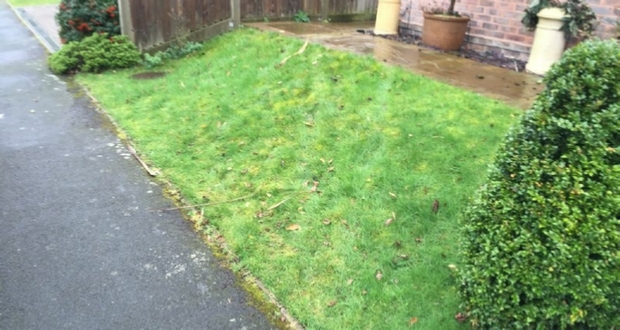 A difficult patch of lawn to maintain. 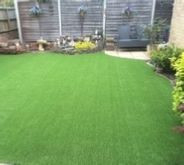 After installation, using 'Luxe' 24mm artificial grass. 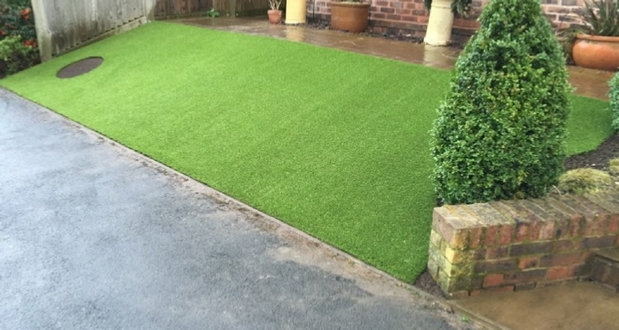 Easy maintenance! 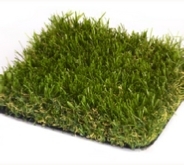 It is durable and supplied on a porous latex backing that can be cut to any shape and size. 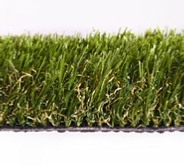 Perfect for children’s play areas, schools and nurseries, creating that mud free zone. 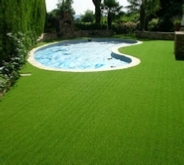 It is also great around swimming pools and hot tubs reducing the dirt that can get in the water. 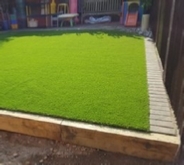 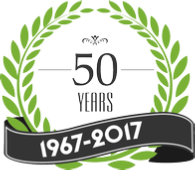 All our plastic turf is provided with a UV protection guarantee. 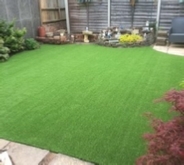 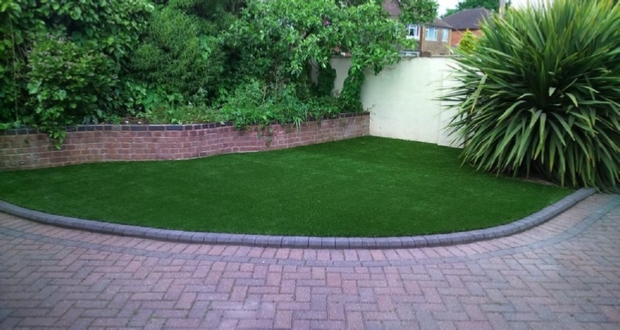 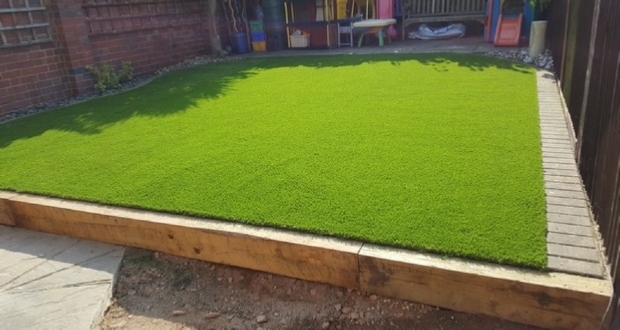 An artificial lawn can replace tired natural grass and provide a space that will look great and be usable all year round. 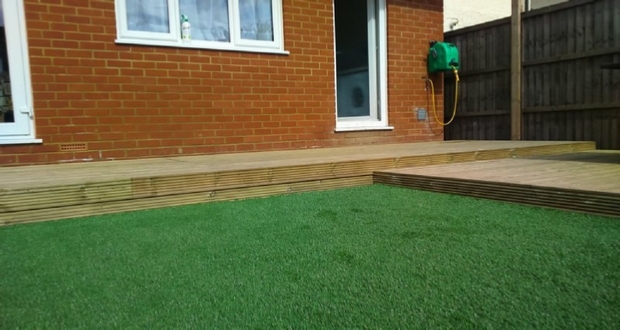 It can revamp your balcony or terrace, or provide a lovely central feature in the garden.